If this is your first time to this series, I recommend that you start at Day 1, HERE. but if yours does, it's considered a plus to buyers so you must take advantage of it. on Day 21 :: The Bonus Room. should not be shown with your stored stuff inside them. These spaces are fairly simple to stage once they have been cleared out. Tomorrow we're moving into the Hallway & Stairway. 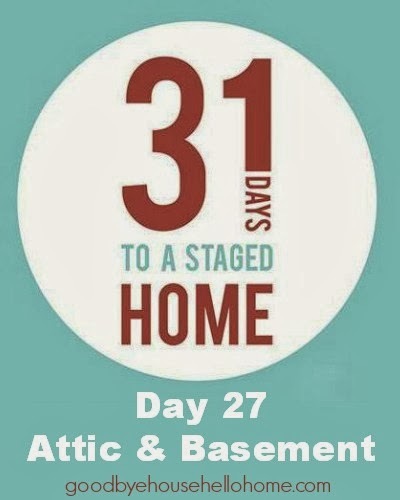 Only three more days to ask me staging questions! 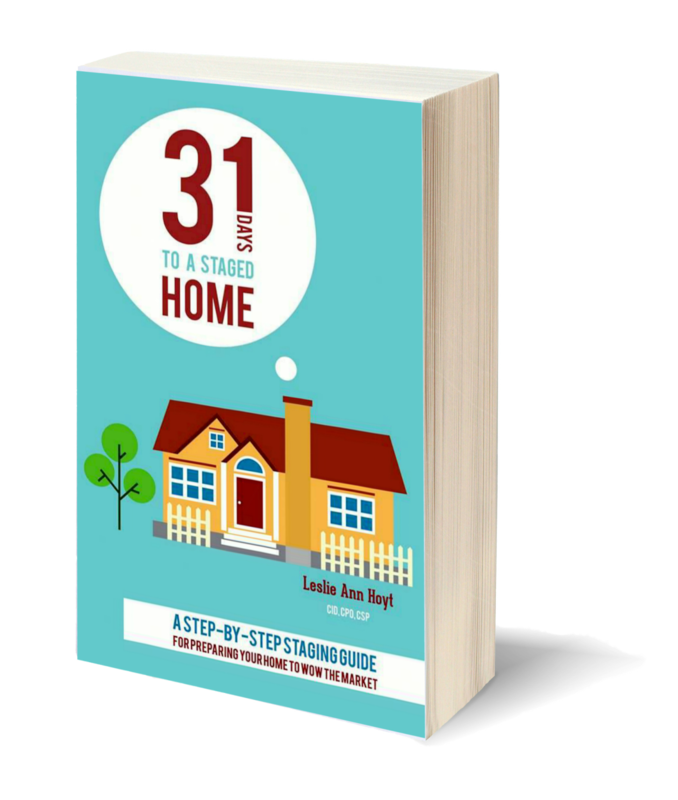 and I will answer them on Day 31 :: Q & A.
Click the book to go to Amazon for your own copy. Happy Staging! Happy Selling! Happy Moving!